Engines in and preparing for ground runs. 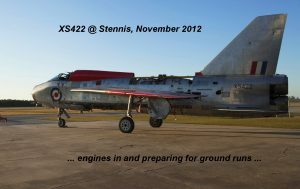 The Anglo American Lightning Organisation (AALO) of Stennis, Mississippi has recently achieved a significant achievement in the restoration of their English Electric Lightning T.5 XS422, having completed the installation of both Rolls-Royce Avon engines and their jet pipes. The twelve years and counting restoration project aims to bring the aircraft to flying condition and work has been proceeding, with the cockpit restoration being completed in 2011 and engine testing scheduled to begin shortly with the plane anticipated to be a ground runner this year. 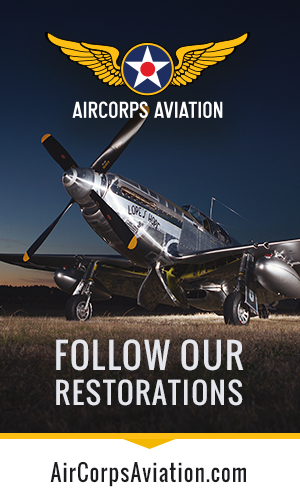 AALO is soliciting donations large and small to assist in funding this restoration, estimating that the project is still in need of nearly $300,000.00 to return this notable aircraft to the skies.